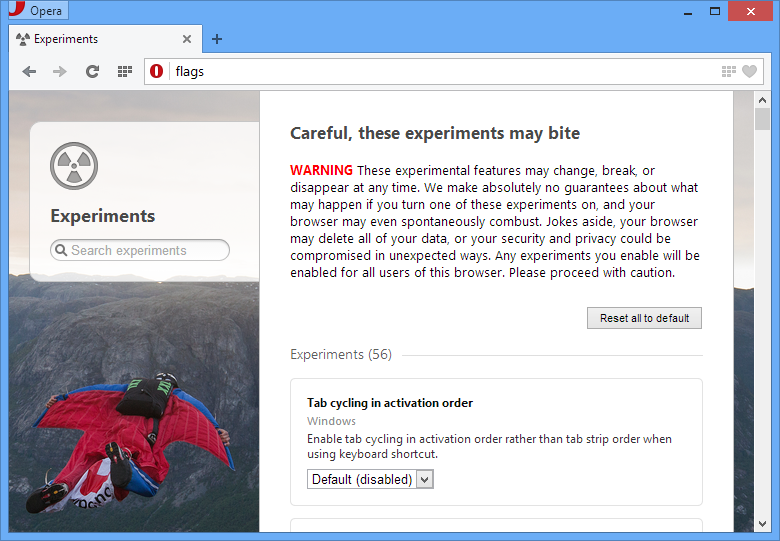 Opera Software today released Opera 18 web browser based on Chromium 29 engine. By entering opera:flags in the address bar, you can get control over various work-in-progress features like "experimental form filling", "smooth scrolling" and "GPU Accelerated SVG Filters" to speed up your browsing. I have Opera 12 in my laptop. I clicked on "check for updates" and it says I have the latest version. Are they keeping Opera with Presto engine away from the Chromium one? I like Opera 12. It's fully featured. Where as Chromium based Opera is too simple.